Innokin’s EZ Watt Starter Kit slashes the learning curve for new vapers! It features a dial located at the base of the device which allows you to increase or decrease power. That is about as complicated as the EZ Watt gets, no funky menus, no over the top display, zero, zilch, nada, just set your desired power and you’re ready to vape! 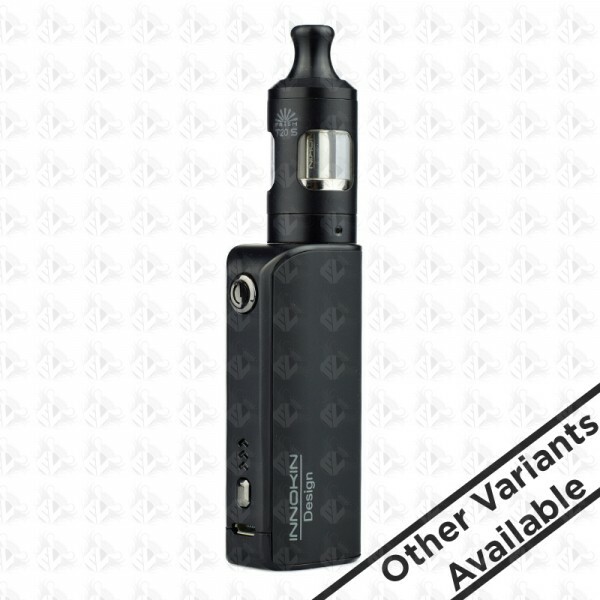 The EZ Watt Starter Kit also includes popular T20s Tank which is constructed of stainless steel, features a top fill design, has a nice 2 mL liquid capacity, and adjustable airflow for superb vapor production! Simple, powerful, compact, you can’t go wrong with the EZ Watt Starter Kit!